(TibetanReview.net, Mar23’16) – The first directly elected head of the Central Tibetan Administration at Dharamshala, India, Former Kalon Tripa Samdhong Rinpoche, has said he did not vote in the Tibetan general election on Mar 20 as he felt disappointed by the adversarial campaigning of the candidates, reported India’s PTI new service Mar 20. The report said Rinpoche was “annoyed with the election process following a western style where candidates are blaming each other and spending large amount of money”. 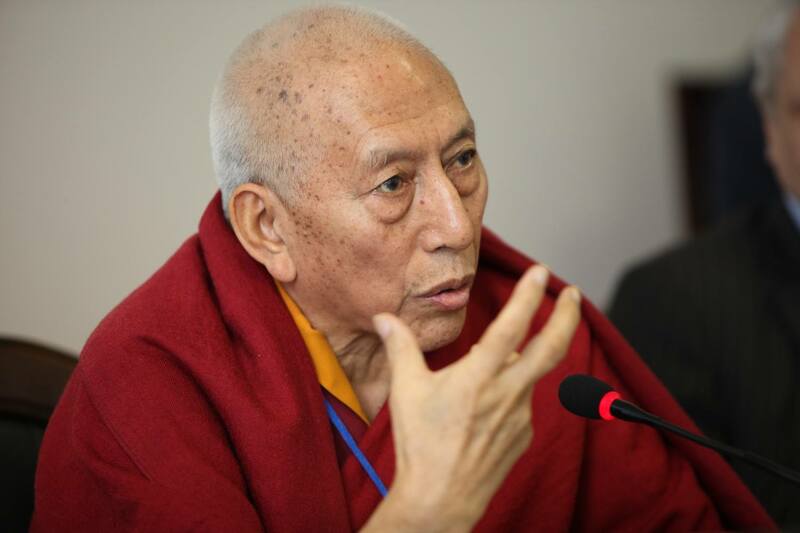 Rinpoche, 77, was also reported to be disappointed that the elections were not fought on “Tibetan ethics”. “I didn’t cast my vote as the exiled government was based on the principles of Swaraj of [Mahatma] Gandhi Ji. It didn’t involve competition or opposition. But, nowadays, representatives are involved in opposing each other through their individual campaigns. Therefore, I think, the exiled government is not heading in the right direction,” Rinpoche was, likewise, quoted as having told the Times of India Mar 21 over phone from Mysore. Rinpoche served as the Kalon Tripa – as the elected head of the exile Tibetan administration was called then – from 2001 to 2011.